Welcome, Spider-Fans, to our latest, greatest feature on this humble site, the indispensable Spider-Man chronology ! Lots of blood, sweat and tears went into bringing you this essential Spider-Man reading order (actually, none of those things went into this list, just a LOT of reading and note taking!). What is this indispensable Spider-Man Chronology exactly? We are delivering to you a pared down list of issues of Spider-Man comics to bring you just the essential (or, as we call it, indispensable) issues. We’re trimming the fat, if you will, of the back issues from the Spider-Man chronology. If you are looking to read Spider-Man from the beginning, or just relive a certain era, but not wanting to read everything that published, this list is for you. Every Friday during the Summer of 2012, we’ll bring you another chapter into the life of Peter Parker as Spider-Man. The methodology used to slim down the Spider-Man Chronology was a bit subjective and objective. 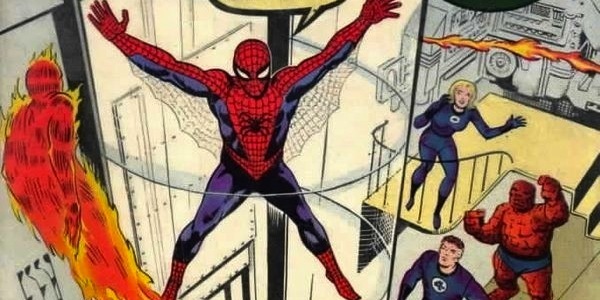 First, we ensured that the stories that are considered the best Spider-Man stories were central, as well as important moments that changed the status quo of the books (graduation, first appearances) in the hopes to create a list of comics that will make reading Spider-Man from the beginning a smooth and entertaining experience. 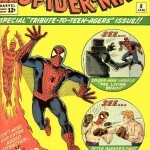 Furthermore, we marked two degrees of importance for each issue, as the best and most important events in the indespensable Spider-Man chronology are marked with two hashtags (##), which can be searched for easy filtering, and a lower degree of importance of one hashtag (#) to indicate issues that connect to those important issues, whether they contain continuing parts to those stories or contain a smaller change in the status quo. Most issues of the original Amazing Spider-Man run makes the cut, as with every other issue there’s a new character or villain introduced that still remains relevant today to the Spider-Man chronology. 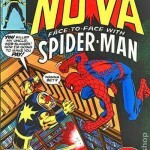 We did cut much of the modern additions to this era, such as Untold Tales of Spider-Man and Amazing Fantasy issues 16+. The really trimming down will occur when there are multiple Spider-Man titles, which also brought in many unnecessary storylines. What makes this, the first era of Spider-Man, is that it is entirely comprised of one team: creators Stan Lee and Steve Ditko. Well, that may not be entirely true, as we are including Kurt Busiek’s Untold Tales of Spider-Man run into this era as well, though we (perhaps controversially) didn’t have any issues of this run make the cut as indispensable parts of the Spider-Man chronology. Many would consider this Spider-Man Chronology era to, similar to its creators, be comprised of just one instance, The Amazing Spider-Man. While it is nearly entirely that title, we would be remiss not to include Amazing Fantasy in the Spider-Man chronology, as well as the aforementioned Untold Tales of Spider-Man, which is a modern age title set in this current era. 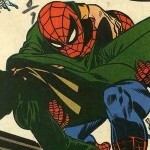 This part of the Spider-Man chronology is marked with the origin of many of Spider-Man’s important players: Peter Parker, Aunt May, Uncle Ben, Flash Thompson, Betty Brant, Jonah Jameson, John Jameson, Chameleon, Doc Ock, Vulture, Kraven, Sandman, Electro, Mysterio, Green Goblin and the Sinister Six, to name but a few. 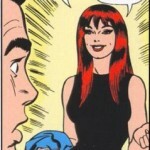 Perhaps the most important event, asides from Spider-Man’s origin, is the three-part story “If this be my destiny!” which introduces Gwen and Harry Osborne and is the pinnacle of the Stan Lee and Steve Dikto Partnership. Great list, but where are “Amazing Spider-Man #16”?